Skillfully bringing the mellifluous timbre of the Guzheng into the spirit of Buddhist music, the composers have woven a pure, luminous imagery that puts the body at ease and the mind at rest. This peaceful New Age music is meant to help you visualize the scenery of the ancient, sacred monasteries in tranquil mountains. 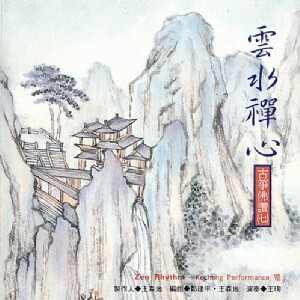 The classical rhythm of the Kucheng, fused with brisk tones of the modern synthesizer, depicts the clouds drifting, streams running and temple bells ringing.